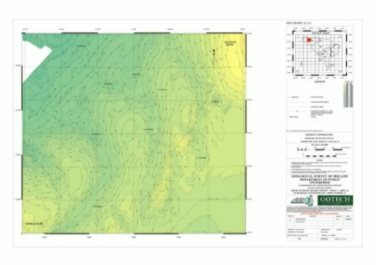 The primary deliverable from the survey is a multibeam sonar dataset that will serve as a reference for future marine research, policy, protection and industrial initiatives. 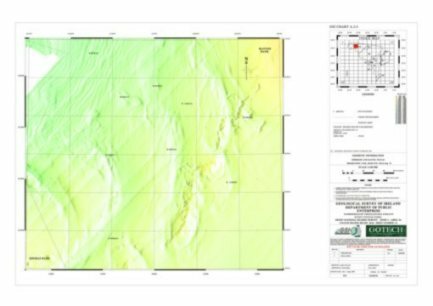 A comprehensive series of bathymetric and geological maps (more than 300) is being produced, the first portion having been delivered in 2000 and 2001 (see Pricing). These are 2° longitude x 1° latitude-map sheets at a scale of 1:250,000. They provide an accurate basis for further research and for additional maps customised to the needs of the various end-users. Further scales are available in shallower waters e.g. 1:60,000 and 1:30,000. Products are available in both paper and digital format (see Data Access ) and in as flexible a manner as possible so that all kinds of customer groups can be catered for. GSI is happy to deal with specific customer requests and will consider entering into data exchange arrangements. Virtually everyone involved in offshore activity will benefit from the results of this survey - policy makers, industry, engineering, geologists, biologists, research groups e.g. universities, heritage and protection. 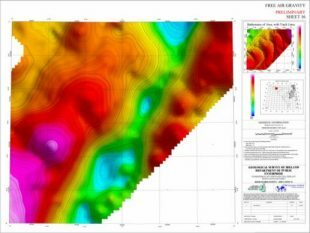 The maps will be useful in indicating the likely distribution, extent and location of potential mineral deposits (e.g. sands, gravels, gas hydrates) or potential hydrocarbon indicators. Fish habitats are often controlled by the nature of the seabed, and fishery interests seek information which makes fishing more economical while minimising the environmental impacts of trawling. In addition, baseline maps will assist in studying natural hazards as well as global environmental changes. Ocean engineering including cable and pipeline laying (e.g. telecommunications or power), and the siting of rigs and offshore installations also will benefit greatly from the results of the survey. Survey results will also be useful to those with interests in offshore aquaculture, navigation, deep sea cold water corals, heritage (including shipwreck identification), renewable energy developments and waste management.